Sulawesi red-knobbed hornbill (Rhyticeros cassidix). 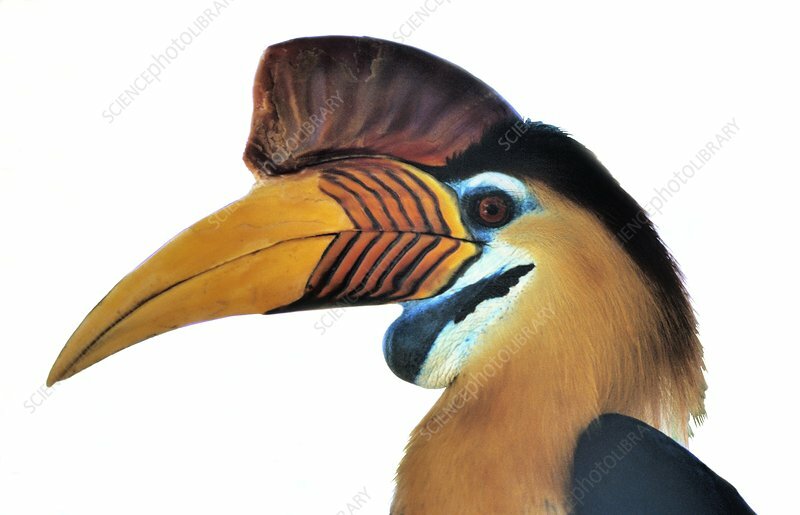 This is a large hornbill, found only on the Indonesian island of Sulawesi and nearby small islands. It is named for the large red ridge (casque) on its forehead and beak. This structure is not solid, but is filled with air chambers. This hornbill feeds largely on lowland rainforest fruit such as figs, playing an important role in distributing the seeds in its droppings. Like other hornbills, it emits a loud call that can be heard some distance away. This hornbill can reach body lengths of 80 centimetres.